Welcome to Begbies Traynor Salisbury. We are a group of licensed Insolvency Practitioners in Salisbury offering services to help companies with either rescue or closure options. Welcome to Begbies Traynor in Salisbury where our expert, licensed insolvency practitioners strive to help directors and business owners in times of financial distress. Our knowledgeable and highly considerate team are on hand to offer personalised advice relating to your business troubles across the Salisbury area and wider region through our offices in Bath, Bournemouth, Bristol, Cheltenham and Exeter. This comprehensive level of director support, our nationwide network of offices – cements Begbies Traynor’s position as the leading independent practice of corporate rescue. If your business is crumbling under the weight of debts; if a creditor is threatening to issue a winding-up petition; or if you just need advice on restructuring your firm or using finance facilities such as invoice factoring – Begbies Traynor can help. Whenever possible, we will look to keep a viable business trading and offer in-depth advice on how to breathe new life into it through company restructuring or debt management schedules such as a CVA. We always strive to reach the best possible result for all parties involved in the most efficient and effective manner – taking into account all stakeholders and making sure all rights and responsibilities are adhered to. We can talk you through a number of potential solutions in times of financial distress or – alternatively – help you find the right exit strategy. In our vast experience, there is unlikely to be a business debt concern that we haven’t seen before and accordingly advised on. We can assist directors and partners with personal insolvency matters and set up individual voluntary arrangements (IVAs) and bankruptcy processes; or for companies and partnerships, there are a number of common solutions including company administration, company voluntary arrangements (CVAs), liquidations, factoring and invoice discounting. Irrespective of whether your business is well established or a recent start-up, Begbies Traynor offers the same dedication and optimum levels of service to every client. In our experience, time is often of the essence when businesses face escalating financial concerns – the sooner we can be brought up to speed on the situation, the more we can do to help. We offer all directors and business owners a free initial consultation consisting of expert, impartial advice and you can contact our Salisbury office today to make an appointment. We’re based in the heart of the city around half a mile from Salisbury railway station. If you are making your way to us on the A360, keep an eye out and follow the crossroads marked ‘The Woodfords’ and then take the first right hand turn and continue down the long track to reach our offices. Julie Palmer, partner at the Salisbury office, will be happy to discuss your concerns with you. 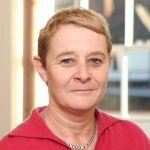 Julie has vast experience in all aspects of corporate recovery and turnaround work as well as personal insolvency appointments. Alternatively, you can call our director helpline number on 01722 398 970 or consider one of five other offices across the south-west with branches in Bath, Bristol, Bournemouth, Cheltenham, Exeter, Oxford, Salisbury and Swindon which you may find more convenient for you.